The world-renowned data disc-burning software is offered freely by the developing company at the cost of your email address in order to receive its newsletters. That’s no joke and it’s no prank or malfunction from the part of Nero. The offer and the downloaded copies are as legitimate as any other Nero software issue. But don’t expect to get the full Nero 9 suite for free, as the company is not prepared to lose money just yet. The freely available version is endorsed by the Ask search engine, which means that Nero is actually making dollars with this offer. There is a screen during the installation process that allows you to install the Ask toolbar and make Ask your default search engine, or proceed with a clean install of Nero. Will It Offer Full Nero Features? The copy offered is not exactly what most users would dream of or expect, but rather a stripped-to-the-bone version of the StartSmart in the full suite. 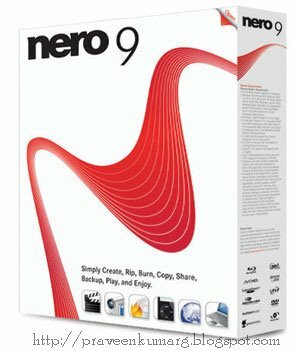 This issue’s name is Nero 9 Essentials and it brings limited functionality, giving you access only to the main options in the original, unrestricted version: CD and DVD copying and Data CD and DVD burning. Sure, there is also the possibility to erase discs, but that’s pretty much it. As for the size of this kind of Nero, the company weighed it at about 55MB. To this small size contributes the presence of only the essential functions, as well as the lack of any sort of manual or help file. The “Rip and Burn,” “Create and Edit,” “Home Entertainment” and “Backup” menus are present in the interface, but are restricted to the paid version of the software, to which you can upgrade directly from the Essentials edition. If the full-featured version seemed complicated to you, this edition will definitely give you no hard times. It is built for the basic functions of CD/DVD burning and nothing more. When it comes down to the non disc-burning-related features the app boasts, it provides you with a feed reader that lets you add your own news channels and stay informed of the latest events.